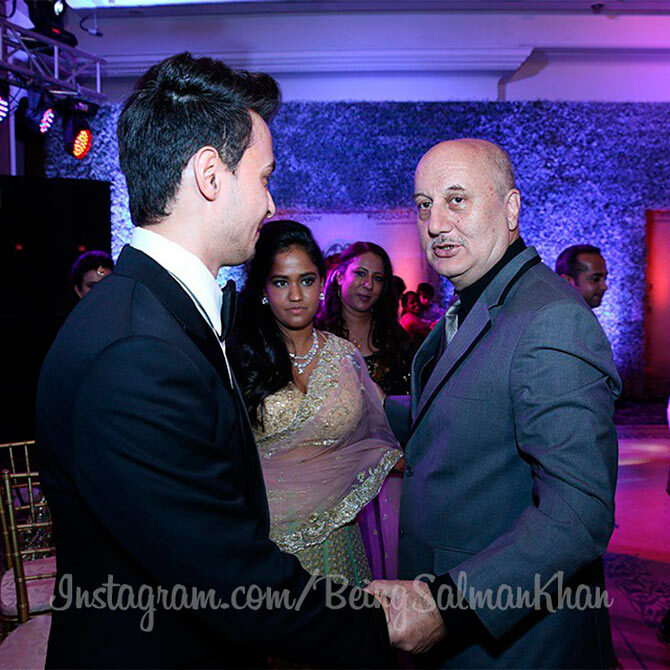 Want to know what happened at Arpita Khan and Ayush Sharma's wedding reception? 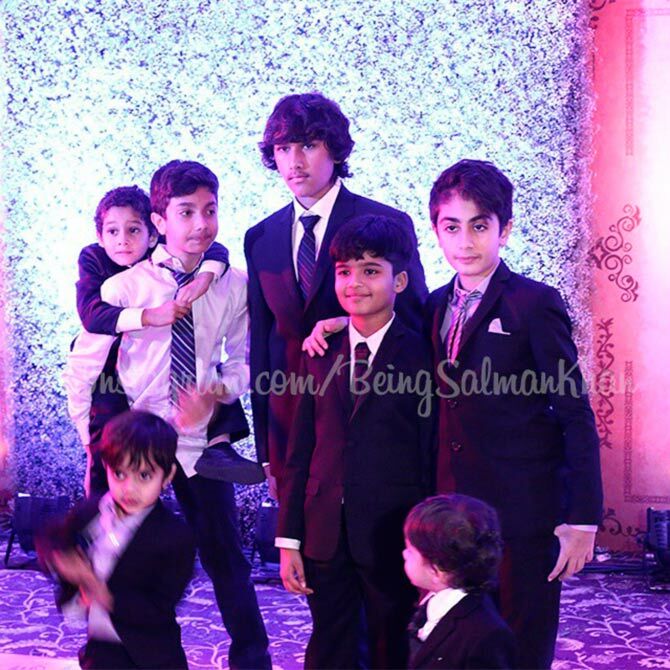 Here are some candid moments -- posted by Salman Khan on Instagram -- from inside the banquet hall of the Taj Lands End hotel in Mumbai. 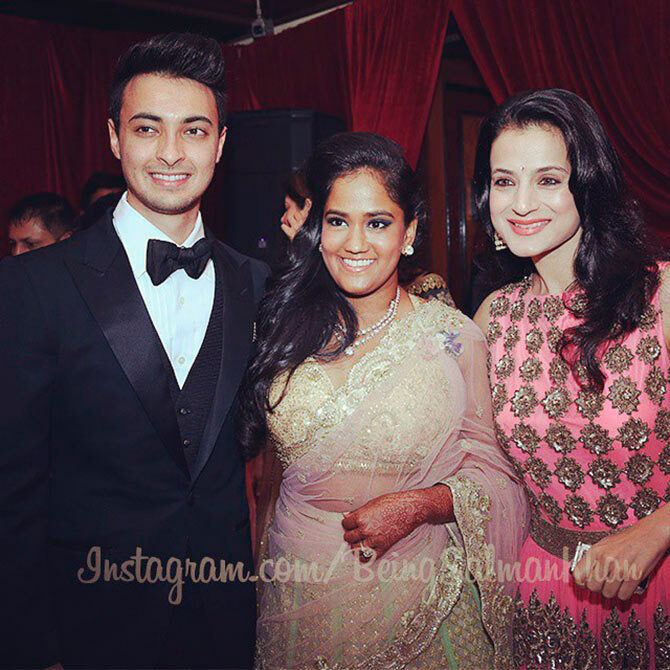 Ayush and Arpita pose with Ameesha Patel. 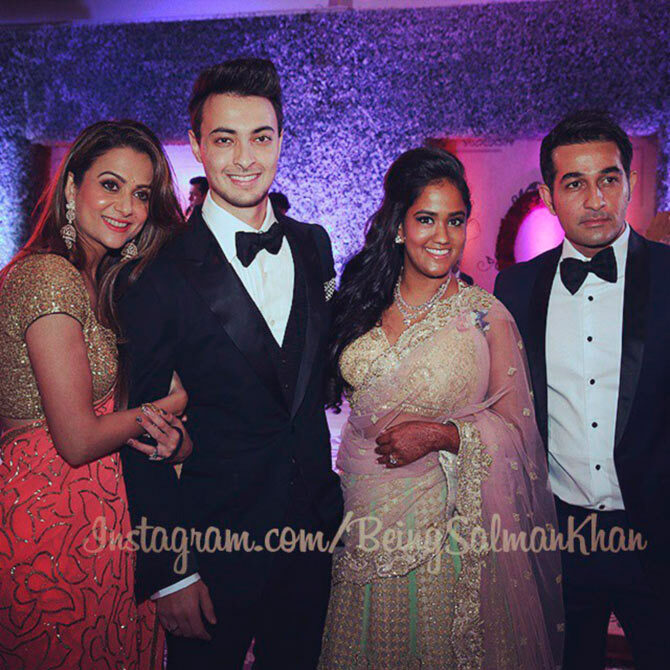 Arpita and Ayush with close friend Amrita Arora and Shakeel Ladak. 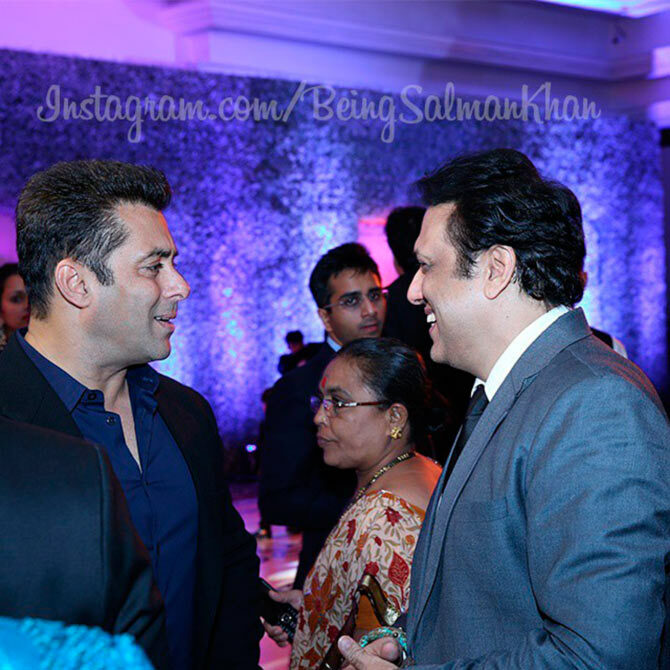 Salman Khan with his Partner co-star Govinda. 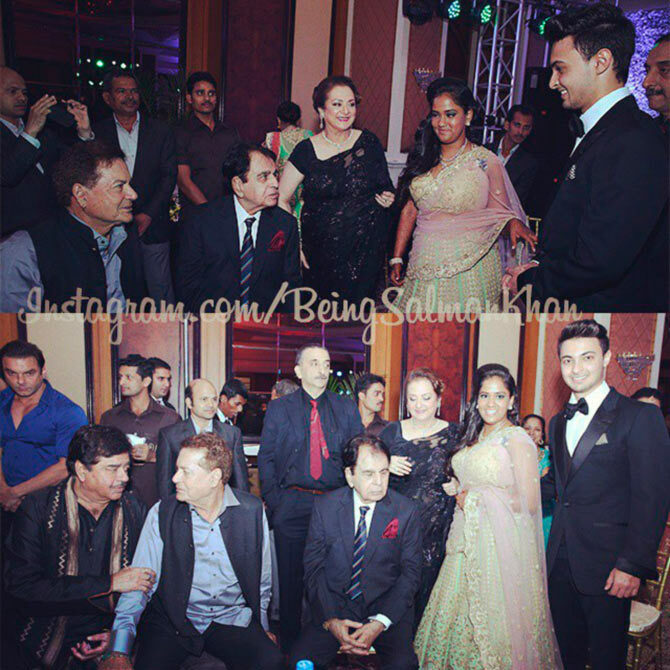 Salim Khan introduces the newly-wed couple to Dilip Kumar, Saira Banu, Shatrughan Sinha. 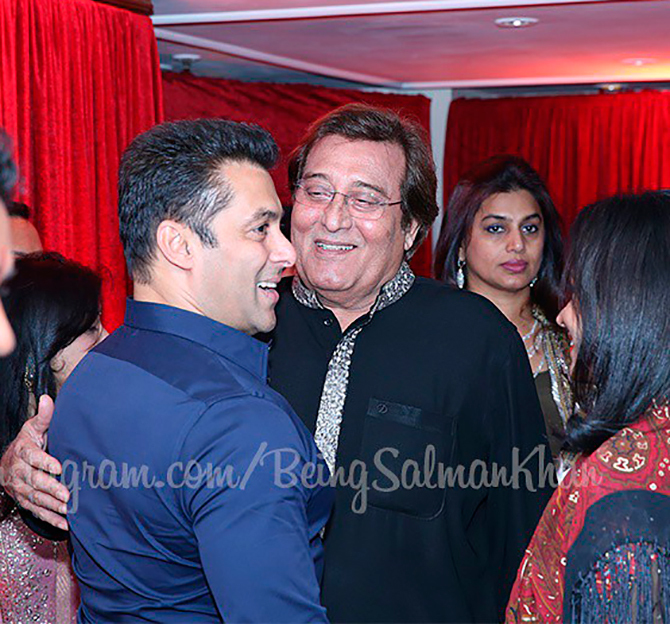 Salman Khan hugs his onscreen 'father' from Wanted and Dabangg, Vinod Khanna. 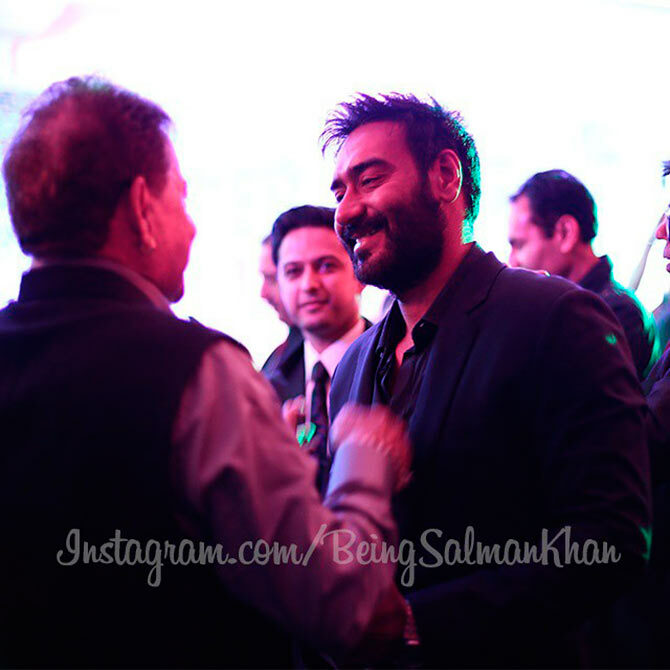 Salim Khan chats with Ajay Devgn. Arpita hugs Zoya Akhtar as Farhan Akhtar watches. 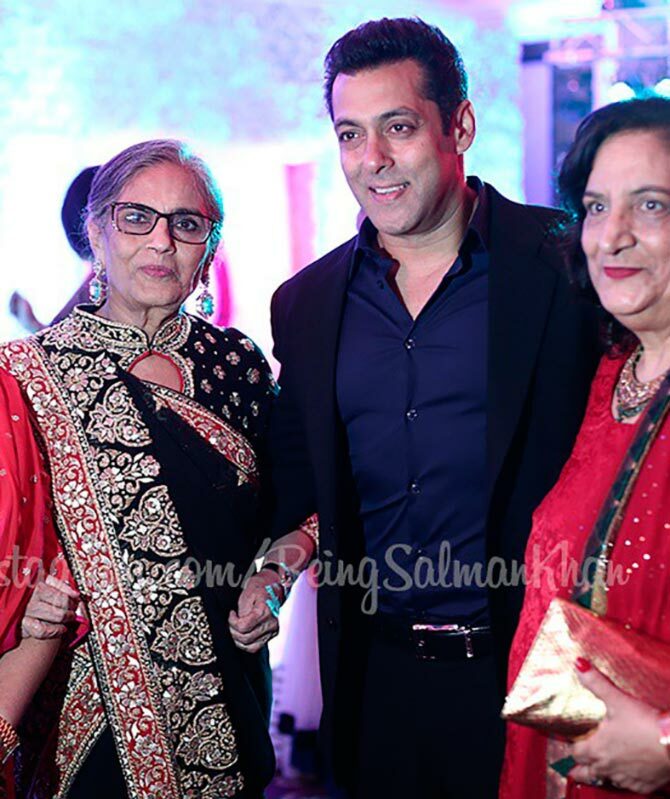 Salman along with mother Salma Khan and Prem Chopra's wife Uma. 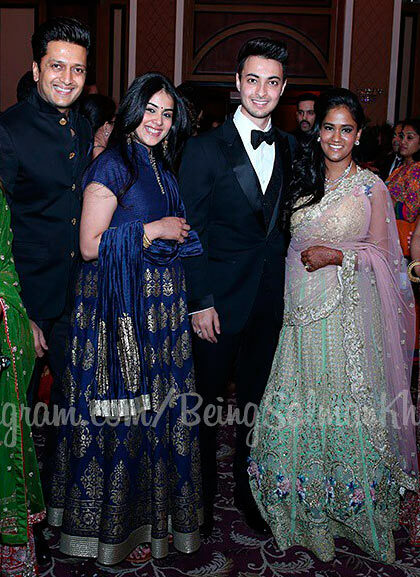 Riteish Deshmukh and his wife Genelia D'souza pose with the couple. 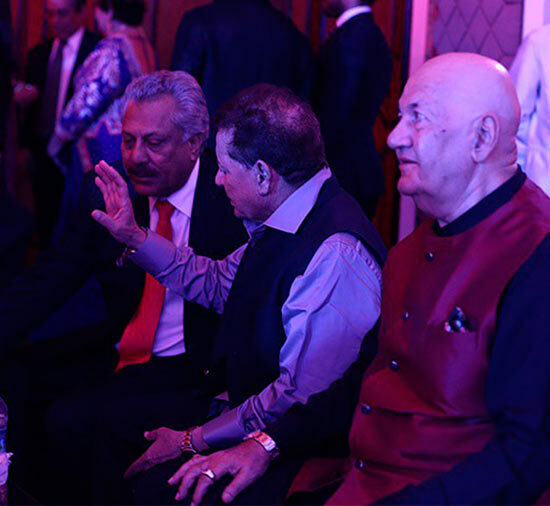 Anupam Kher chats with the couple. 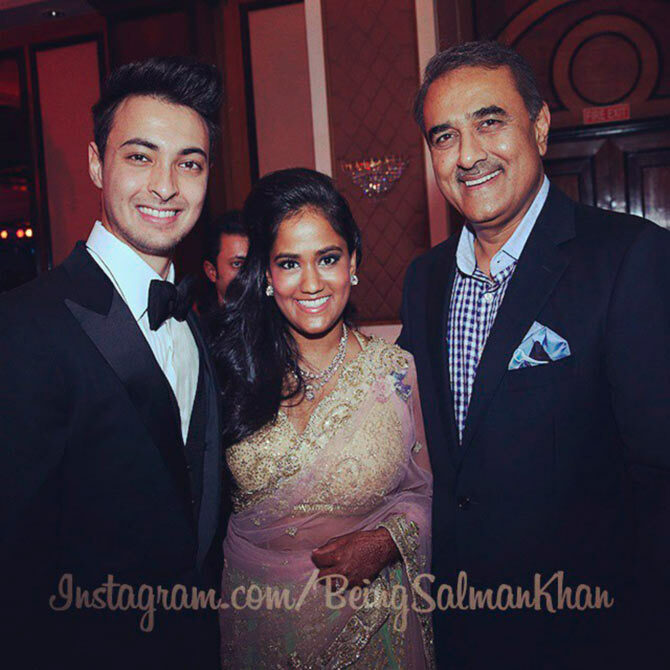 Nationalist Congress Party leader Praful Patel along with the couple.